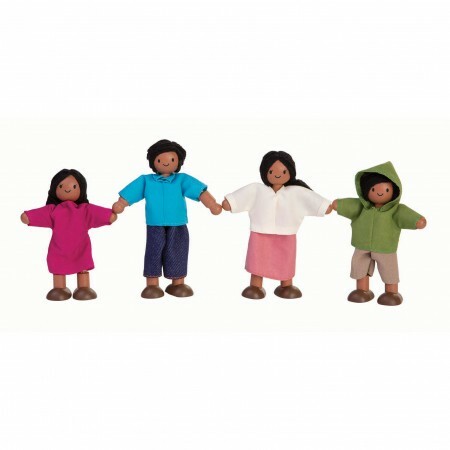 This lovely Mediterranean family doll set comprises an olive skinned mum and dad with their son and daughter. 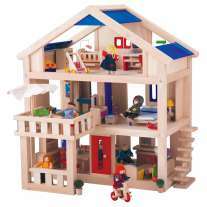 Each member of the family has dark hair, cheerful smiles and is in colourful casual clothing. 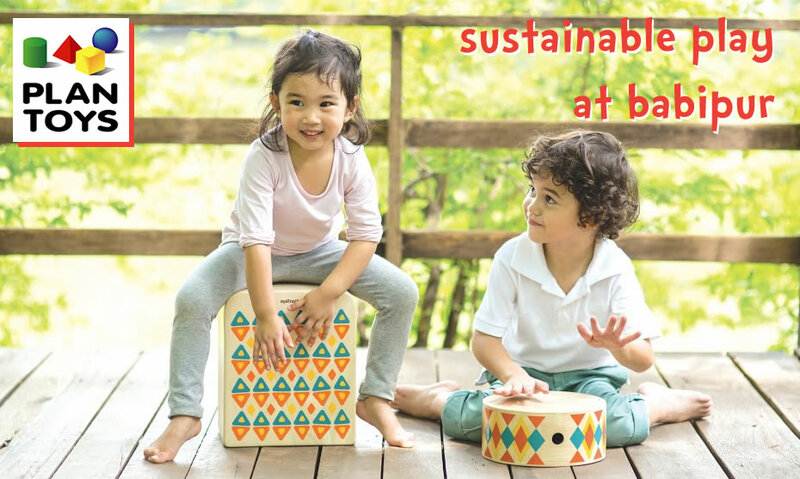 Made from sustainable rubberwood, these dolls have solid wood heads and bodies, but the arms and legs have wire to mould them into whatever position your child wants. 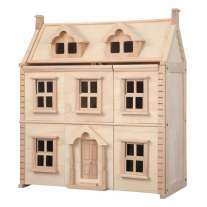 These wooden figures are great for imaginative play and scaled to fit a Plan Toys dolls' house. Suitable from age 3. The parent dolls are 13cm tall.